Posted on June 8, 2015 by Ronald Patrick Raab, C.S.C. 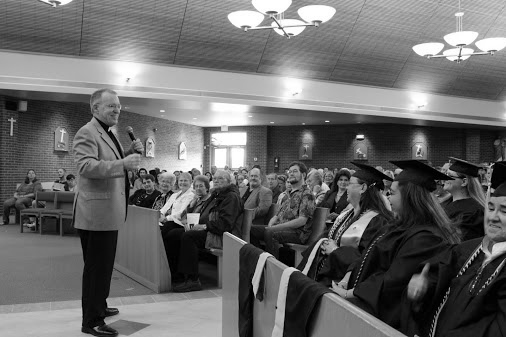 On May 30, 2015, I addressed the graduates, family and friends of the 2015 graduating class of Newman University in the School of Social Work. The ceremonies were held at Saint Patrick’s Church in Colorado Springs. I am delighted to witness these forty-two people who are now prepared to enter into the mystery of other people’s stories in their profession of social work, to share their pain and to offer hope. God bless this year’s class! May they have ears to hear, and hearts to listen.